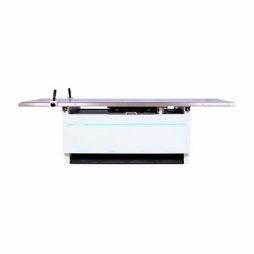 The aries 4-Way table is designed as a “stand alone” system, consisting of plug-in cables and a single board interface compatible with all standard x-ray equipment. The tabletop electromagnetic locks are released by applying pressure to pedals located at front of the table. With the aries Table, the operator can easily and quietly position a patient weighing up to 600 pounds. 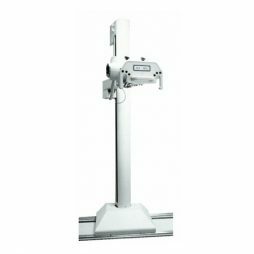 The atlas elevating tables are designed as “stand alone” systems, consisting of plug-in cables and a single board interface compatible with all standard x-ray equipment. The atlas tables are also plug-and-play compatible with all CoRE labs tube stands, tube cranes and wall stands. The tabletop electromagnetic locks are released by applying pressure to foot pedals at the tables base. The table height is adjustable to accommodate ambulatory, wheel chair, or gurney patients – Easier transfer is accomplished for both patient and operator. With the atlas elevating tables, the operator can easily and quietly elevate and accurately position patient weighing up to 650 pounds (or 765 lbs with the atlas XL). Virtually silent motorized vertical movement is controlled by applying pressure to the foot pedals or optional hand controls. The halo overhead tube support is a heavy duty, hospital grade, manually operated, fully counterbalanced ceiling mounted unit. The halo overhead tube support is a heavy duty, manually operated, fully counterbalanced ceiling mounted unit. 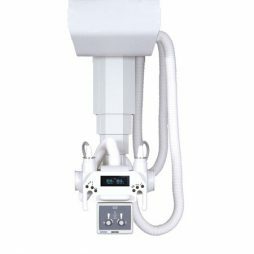 The halo tube support provides flexibility to facilitate a wide range of x-ray procedures. Fully counterbalanced, this heavy-duty system can be easily positioned at any selected point within its total range of travel. The x-ray tube rotates a full 360-degrees about its vertical and horizontal axis with mechanical indexing at each 90-degree position. 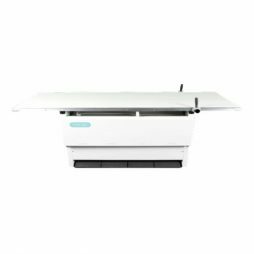 The ergonomic user interface provides convenient selections to allow the tube to be moved in the longitudinal, transversal, vertical and rotational directions, and allows for table/wall Bucky centering. A single handle control allows for fast and out of the way positioning. The LCD Display indicates SID to Tabletop / Wall Bucky in inches or centimeters & angulation of x-ray tube in degrees. The “Intelligent Software” allows for fast and easy access to calibration and configuration. Standard ceiling heights between 99-124 inches. Can be used with any existing mounting structure without modification to the ceiling. Extremely rigid steel & aluminum construction allows the triton floor mount tube support to be freestanding. The triton is fully counterbalanced for easy positioning during radiographic procedures. It uses the same world-class ergonomic LCD user interface as its ceiling mounted cousin. Standard longitudinal travel is 7.5 feet. Extended longitudinal travels are available. Transverse travel is 10” (+/- 5” from center) and vertical travel is 15” to 79” from a finished floor. CoRE labs Bucky stands are manufactured to the same quality level as our tube stands and tables. 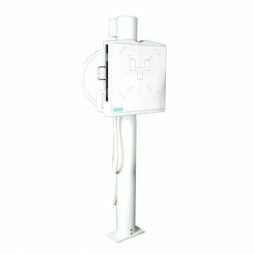 “Flora” & “Orion” are fully counterbalanced units and use electronic positive locks (for patient & technician safety in the event of power failure). Both will accommodate Bucky’s, grids and trays from various manufacturers. Fine adjustment counterweight systems are included.